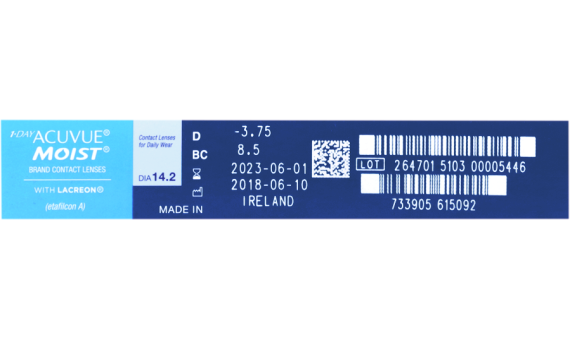 1-DAY ACUVUE® MOIST® contact lenses are an ideal choice for the lens wearers wanting to do away with daily the discomfort of extended wear lenses. Do away with daily cleaning and storage with the 1-Day Acuvue Moist. Wear one pair a day and toss them out when the day is done. These contact lenses feature exclusive LACREON® Technology, which build moisture into the lens. The moisture rich ingredient acts like natural tears. No matter how many times you blink, you retain that cushioned, soft feeling. The lenses also protect your eyes from 82% of UV-A rays and 97% of UV-B rays. 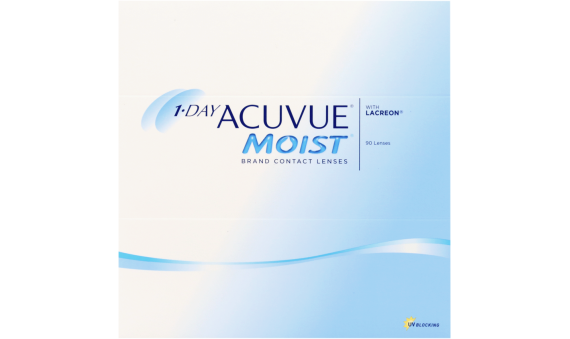 1-Day Acuvue Moist contacts are a superior choice for the daily lens wearer.